Niranjan has a broad commercial practice. He has been instructed (on numerous occasions) in the Supreme Court and the Court of Appeal and has also acted in complex, high-value cases in the Commercial Court and the Chancery Division, in addition to appearing as sole counsel in the High Court and various County Courts. Before coming to the Bar, Niranjan read and taught law at Oxford, where he was a Vinerian, Eldon and Rhodes Scholar. 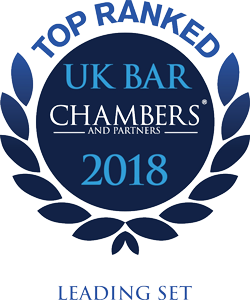 Niranjan is recommended in Chambers & Partners 2019 (Commercial Dispute Resolution): “his attention to detail is remarkable, and he’s extremely responsive and very easy to work with”. “Always willing to assist, he has great legal capability and offers practical advice.” He has a particular interest in (but is not limited to) mis-selling/misrepresentation, civil fraud, professional negligence and the law of damages, which were the subject of his doctoral thesis at Oxford, and in the law of restitution. He also practised at the Indian Bar between 2011 and 2013 in the chambers of Mr Arvind Datar SC and is able to advise on matters of Indian (commercial) law. Arcadia Petroleum Ltd v Bosworth: Acting for Arcadia in the Supreme Court and the Court of Justice of the European Union in a jurisdiction challenge arising out of a claim worth in excess of $300 million. The issues include the jurisdictional characterisation of conspiracy, knowing receipt, dishonest assistance and breach of fiduciary duty claims under the Brussels Regulation (Recast) and the Lugano Convention. Goldman Sachs International v Novo Banco  1 WLR 3683: Acted for the claimants in the Supreme Court in a claim worth in excess of $600 million. The issues before the Supreme Court concern the interpretation of the EU Directives relating to bank resolution and reorganisation and article 25 of the Brussels Regulation (Recast). Tiuta International Ltd v De Villiers  1 WLR 4627: Acted for Tiuta in the Supreme Court in a case concerning the correct approach to the assessment of damages in claims against valuers where the loan that the lender is induced to make by the negligent valuation is used to refinance a pre-existing loan. BAT Industries plc v Sequana SA: Acting for Sequana in the Court of Appeal and in related proceedings in the Chancery Division. The appeal raises novel questions of company and insolvency law including the scope of section 423 of the Insolvency Act and the fiduciary duties of directors in relation to the payment of dividends. Société Générale v Goldas  EWCA Civ 1093: Acted for Société Générale in the Court of Appeal in a claim worth around $480 million. The issues before the Court of Appeal include the interpretation of CPR 6.15 and 6.16 and the law governing the enforcement of a cross-undertaking in damages.